I love my boys more than I could describe. They are funny, lively, inquisitive, caring. They are also LOUD and, however funny it is hearing them singing their own odd song 'everything is awesome, everything is awesome when you Bon Appetite', after a period of time my nerves start to fray. The incessant 'mum, mum, mum, mummy, mum, mummy...' and Tigger like bounding around is sweet but wearing. Last week this was compounded by a post illness malaise where I wasn't properly ill but just felt exhausted and craving a bit of quiet and rest. The result - grouchy mum, which the kids picked up on and reacted to by being particularly obnoxious, culminating in an incident while we were having packed lunch with a volunteer friend. The poor lass was trying to arrange a play date for her boy to meet my two, but Ollie in particular was being so downright loud and rude that I'm amazed she persisted and we managed to set a date to meet up before I dragged the boys off to the car with the threat of no gymnastics that afternoon, which in turn provoked an absolute screaming toddler style meltdown in Ollie. My lovely, take them anywhere boys had embarrassed me to the point where I felt like having a screaming meltdown myself (not helped by the fact I forgot our jumpers and had to go back into the building where the whole population of Health Visitors and Children's Centre staff must have heard the commotion, with Ollie still screaming all the way there and back to the car). Good grief I needed a break from them. Amazingly the answer came in the post that day in the form of a product review. I have been ridiculously lucky to have reviewed products for Ozeri in the past, and on that horrible day they made my day by sending me a clever 4x3 sport digital pocket 3D pedometer with tri-axis technology and 30 day memory to review. I have owned several cheap pedometers over the years, so I was in a good position to appreciate this flashy new piece of kit with its 'tri-axis' technology which enables it to recognise when you are going up stairs and makes sure it never misses a stride. Why was it such a godsend? Well, it meant a reason to focus my mind on doing more walking and running - the surest step to achieving mental equilibrium in my experience. The walking bit I could do with the kids in tow - back in the days last year when I used to walk Ollie to nursery and then on to playgroup with Toby in the pram I used to rack up 20 000 steps, but lately this has dropped off (much like my last cheap pedometer, which dropped off my belt and went plop straight into the toilet). A new pedometer was a great way to get the ball rolling again. My control day where I did nothing extra only clocked up 3500 steps, well below both the default target on the device of 5 000 steps (progress towards this goal is indicated on the left side of the screen) and health campaigners recommendations of 10 000 steps a day. This spurred me on to walk the boys to Toby's nursery the next day (a return journey of an hour at small child pace) and to the local shops with Ollie afterwards to pick up craft supplies. That day I clocked up just over 10 000 steps. The device is really clever because it records a cumulative number of steps for 30 days, as well as displaying the current days' steps and the previous days' are available to look at too, so no more writing down my totals by hand each night. It also resets automatically at midnight, so no more wandering around half the morning before I realise I haven't reset the pedometer. The new Ozeri pedometer also encouraged me to take the plunge and do something I haven't done in a long time - child free jogging. 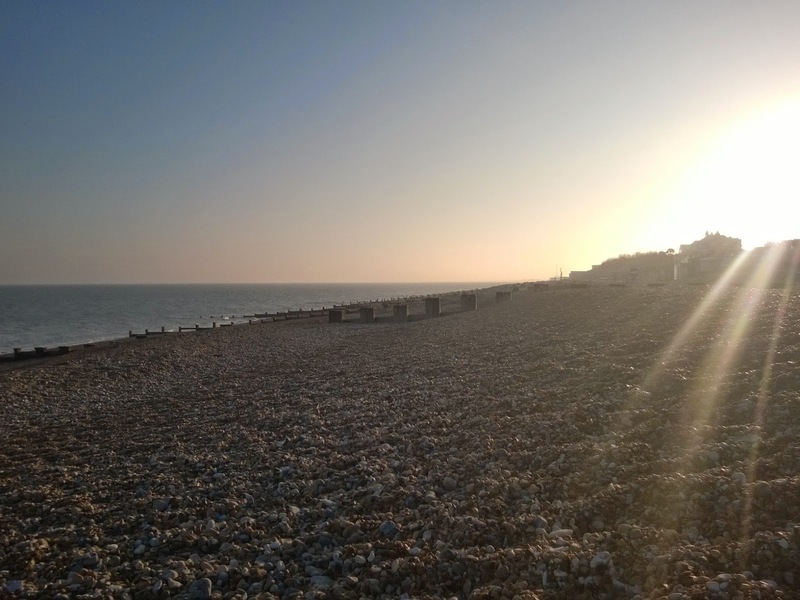 My goodness the sense of freedom of ditching the boys to play on the pebbles with hubby Matt while I took off down the seafront! I was in good company with the dozens of runners pounding up and down the tarmac resplendent in Lycra, massive headphones and ergonomically shaped water bottles, even if I didn't look anything like them. Picture a very large lady in bright pink shoes, jeans and a scruffy jumper with a backpack stuffed full of kids spare clothes and wet wipes interspersing slow jogging with brisk walking accompanied by the soundtrack of mild wheezing and you get the idea. Now imagine the quiet contentment of sitting for a couple of minutes taking a breather at the far end of the beach and seeing I had clocked up 6311 steps, with another 4000 to go before I got back to the car. 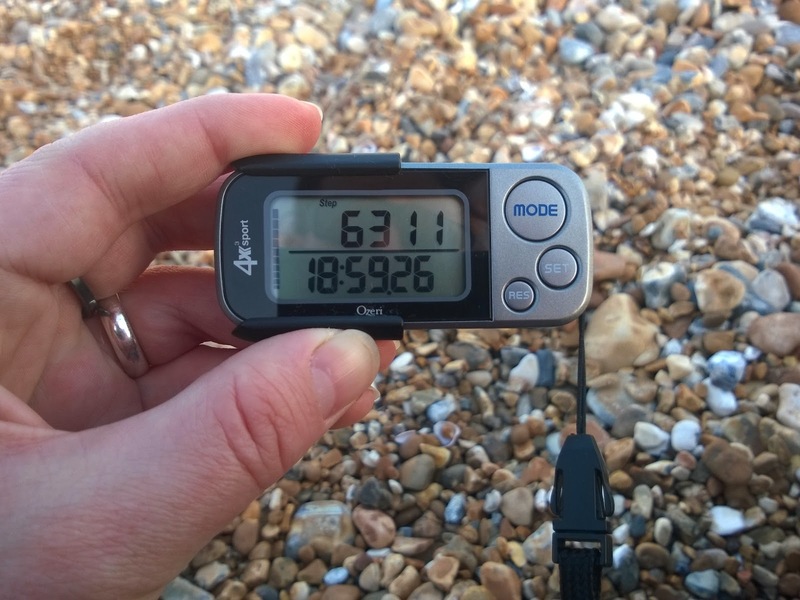 The pedometer was easy to set up and gives a reading of calories burned and distance travelled as well as steps. As I use it more I will take advantage of the goal setting features more too. I like the large buttons, and the clip case which means I can glance at the display without having to fiddle around undoing a clamshell case like on my old one. It works beautifully, again unlike my cheap (£7 from supermarket) old one which had me grumbling at it because it seemed entirely random as to whether it reset back to zero steps when I pressed the tiny invisible reset button). Out of all the fancy stuff it can do though, my favourite feature is a simple little lanyard with an extra clip which attaches the pedometer more securely to my belt than the normal clip. I have clumsily knocked the pedometer's main clip off my belt several times as with my old ones, but the difference now is that instead of losing it, it just swings gently from the lanyard clip ready for me to reattach it. It was also simple to set up with a clear instruction booklet, of immense importance to me since none of us have got time to be faddling around. 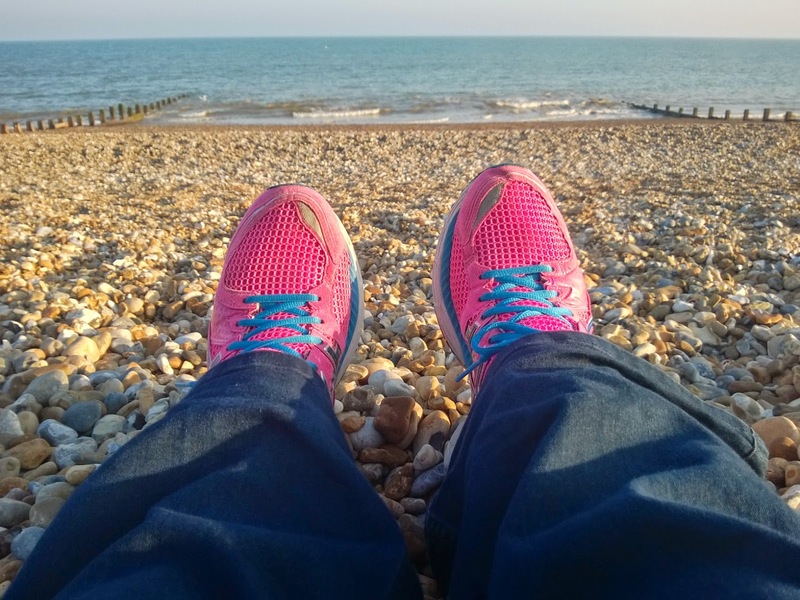 In a time when we all need to move more I'm really pleased to have this extra motivation to do so (there has even been an early morning pre-breakfast jog this week). For my physical and mental health the benefits are limitless, but above all for my capacity to be an effective and gentle parent I need to move more and moan less, and this neat little device will certainly help me to do that. Note: I received the Ozeri 4x3 sport digital pocket 3D pedometer with tri-axis technology and 30 day memory for free as a product to review, but opinions, photos and disturbing mental images of wobbling jogger are all my own. As of this being written (27/4/2015) I have been wearing the pedometer for a week during which it has functioned perfectly and not fallen in the toilet once. It is also currently on sale half price on Amazon.co.uk at £19.99 reduced from £39.99.